Please feel free to contact me via the below contact form, phone or email to talk about any of the treatments I provide, to make a booking or any other questions. Beauty Box Worcester is located next door to PF2 Worcester, in Diglis. PF2 has a great seating area and offers a range of hot and cold drinks and we meet all our bookings from PF2 and walk them round to our treatment room. Call to book by phone, please leave a message with your name and contact details if no answer and we will get back to you as soon as possible. Pop us an email, with the treatment, date and time you have in mind and we will look to book you in and will confirm with you as soon as possible. There are a small amount of parking spaces for Beauty Box clients opposite the gym marked PF2. There are also two hour parking spaces available on Basin Road by the Anchor Pub and on Diglis Dock Road opposite Premier Timber. 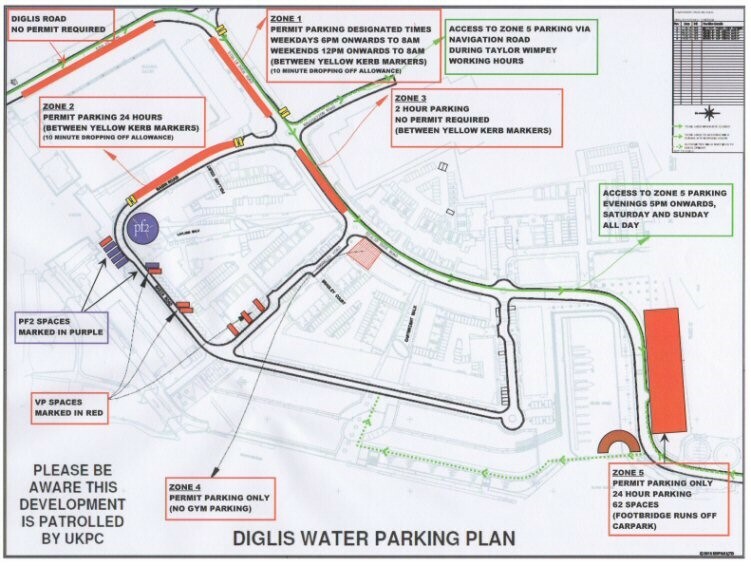 Everywhere else in Diglis is permit only – permits are available from our reception in PF2. Please see the above map for more detail. If in any doubt please ask in reception and they will tell you where to go. All spaces with V or VP are also for visitors and can be used. Booking and Cancellation Policy - 24hrs notice must be given on any appointment cancellation or a 50% charge will be made payable at the next appointment. Basin Road, Diglis, Worcester, WR5 3GB. We accept all major debit and credit cards as well as cash so you pay easily and conveniently.